Aven has learned to do anything she wants even though she was born without arms. When she first entered school there was some adjustment time before everyone got used to her using her feet to eat her lunch or holding her pencil in her toes, but now, she has several close friends and the rest of the school doesn't stare at her. 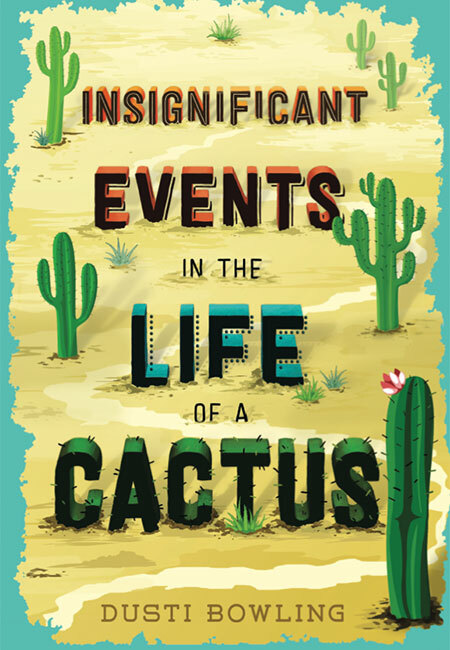 Even though she is a strong girl, she does have some worries about starting over in Arizona where her parents have just taken jobs running Stagecoach Pass, a rundown theme park. After a few awkward days, Aven meets Connor and they become fast friends although he also feels like an outsider due to his Tourette's syndrome. The two friends bond over differences, invite a third boy to join their circle, and work together to solve a mystery at Stagecoach Pass. This is a sweet book with an incredibly plucky main character. A bit too plucky, if you ask me, but I'm pretty curmudgeonly at times. Aven is a fun narrator who actually does drop her upbeat image and reveal some insecurities at times which makes her all the more interesting to me. I have some pretty big issues with the solution to the mystery and how neatly all those pieces fit together - and all without any unresolved identity crises - even if I could convince myself this is actually magical realism. Which it's not. But I appreciate the title (gotta read the book to get it) and I love Aven's enthusiastic ideas for taking the park up to a whole other level.